Dario Marianelli was born in Pisa in Italy and is now based in London. Although he has been composing for the visual media for less than a decade, he has achieved a respectable number of film and television credits. These credits include 2 films which have both won BAFTA awards: Michael Winterbottom's "In This World" and Asif Kapadia's "The Warrior", both of these films curiously being set in Asia. Two of his more recent films have achieved a higher profile in terms of budget, and these seem likely to propel his talents further in the industry. 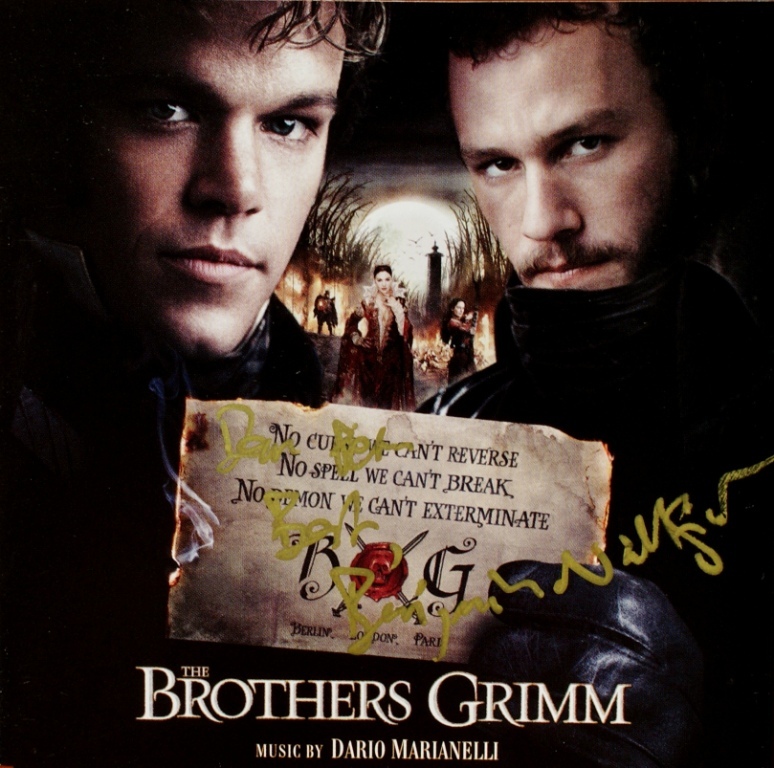 In addition to the latest version of the romantic Jane Austin novel Pride and Prejudice, Marianelli has also created the soundtrack for Terry Gilliam's latest film The Brothers Grimm. 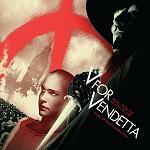 The stylish "V for Vendetta" is also a great soundtrack: very gothic and theatrical, a touch quirky but strangely modern. 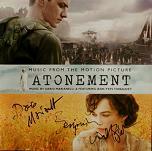 Marianelli's latest score Atonement has real emotional depth and brings back the composer's previous pianist partner from "Pride and Prejudice": Jean-Yves Thibaudet. 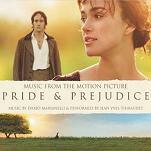 There is some excellent sheet music from Marianelli's score to Pride and Prejudice which pianists will enjoy playing. See below for details. "The Soloist" is a film about a cellist with problems, and Marianelli adapted music by Beethoven for the score. Though many tracks are played more or less "straight", some are adapted in various ways to show the mental illness of the cellist and his struggles with life as a homeless person. The soundtrack also features one work by Bach. Marianelli's latest film is "Jane Eyre" whose dreamy but involving score features violinist Jack Liebeck. 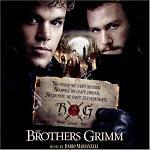 The film and soundtrack were released ealier this year in the US (the soundtrack available at this link - www.Amazon.com), though the film is now on general release in the UK with the soundtrack available at www.Amazon.co.uk. Though not included on the soundtrack CD, Marianelli continues his association with classical music, by performing piano sonatas by Beethoven and Mozart on the film soundtrack. "Jane Eyre" is the first in a string of very effective Marianelli scores for some big films during the past couple of years. 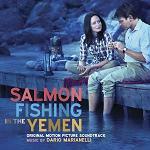 "Salmon Fishing in the Yemen" is a pleasant soundtrack, generally relaxed with moments of excitement, romance and inspiration, and also including little touches of both Yemeni and Scottish music. Anna Karenina (whose soundtrack is already available in the UK) is a fun lively concoction of dance-like music which seems ideally suited to the satirical presentation of the story. The composer has created a very Russian sounding score, with a number of influences including the Russian Folk Song The Birch Tree. 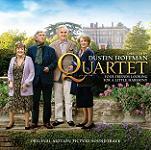 The composer's next film on release is "Quartet" directed by Dustin Hoffman, with an all-star cast set in a home for retired opera singers. 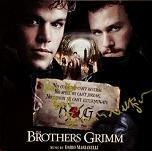 The album has a mix of classical tracks with 4 by Marianelli. Many of Dario Marianelli's film scores have been orchestrated and conducted by Benjamin Wallfisch, who is now making a name for himself as a composer on films such as "Conquest 1453", "Hammer of the Gods" and "Summer in February". Opal Dream - also known as "Pobby and Dingan"
Here are a couple of CD covers signed by Dario Marianelli, and also signed by Benjamin Wallfisch who is Marianelli's regular orchestrator and conductor. Our thanks to Petr Kocanda for permission to use his collection of autographed CDs. Click on any thumbnail below to see a full size version of the image in a separate window.